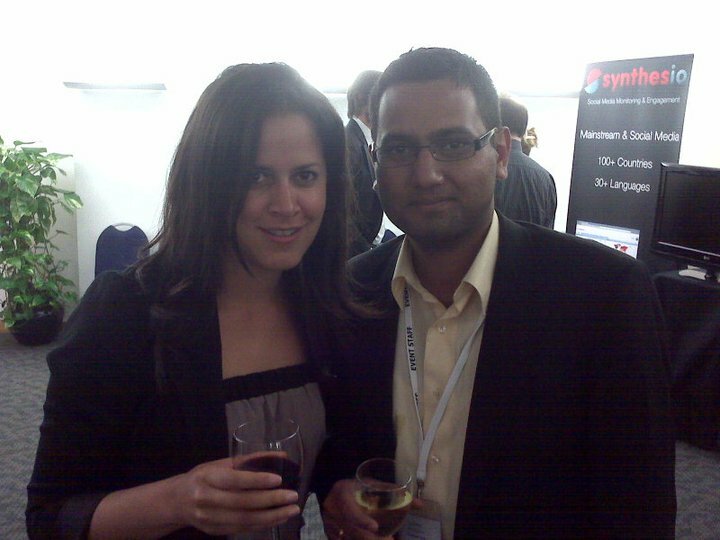 My first networking event in London was JUMP 2010. My classmates and I got the tickets through our grad school. It was our opportunity to meet professional contacts and to show to the world the first generation of Digital Marketers from Hult. We were so excited about it. We put our best clothes on and we headed to the field. I remember approaching people, breaking the ice with the classic: “Hi, I’m Martha. Nice to meet you!” supported with a big Colombian smile. People looked at my badge looking for Director, Manager, CEO, President, or who knows. When they found the word “Student”, Fua fua fuaa, they looked disappointed. We felt disappointed as well. Despite all our enthusiasm, nobody wanted to talk to students (apart from our school Professors). I guess it’s common that everyone who attends a networking event is looking for people who can push their careers up and a naive student can perhaps only make the experience just a bit more fun for 5 minutes. You have been “Networking” since you were born, when people visited your parents and brought you lots of nappies, although you didn’t say a word you started making connections. Also, you have been in places where you have met people: school, college, your neighborhood, work place, bars, etc. and you have made good friends, without the need of a badge. So forget the word networking and just be yourself. Nobody wants to be prompted in a flash conversation where you are asked for your name, occupation, company, and if you know of any job openings. Not everyone works in Human Resources. Start a simple chat just like when you are in a party. Networking is about connecting, meeting people, finding a topic in common, and developing a real conversation. Look for the list of delegates. Find the ones that are in your field. Take a deep breath and get the strength to talk to them. They are humans just like you so do not be nervous at all or at least, try not to look nervous. Introduce yourself in a way that is professional. You know that you are good at something so let them know it. You started a chat with the wrong person. You are not interested, neither is he. Be polite, excuse yourself, and sneak out of that corner with a simple “I’m going to try some nibbles”, “I think a need a coffee”, and all kind of random excuses. I’m not talking about meeting your next boyfriend/girlfriend (but who knows). I’m referring to the attitude. Trust your instincts. Listen more, talk less, and remember, you have less than 5 minutes to make the other person want a second date with you. Most people will throw them in the bin. However, maybe you can hit the right target. If not, you still can add people on Linkedin and look smarter in the network. Most business cards are boring so try to make yours memorable. Listen to inspiring stories, case-studies, ideas, and even failures. Learn from people who have the guts to be on the stage. They are not there just to socialize and meet great people during the networking drinks event but also to make you believe that sometimes you don’t need a great contact, just a great idea. Thanks! It reminds you Mexico too! Nicely put, as networking should be quite natural but sometimes it becomes a scary concept.